[su_dropcap]T[/su_dropcap]HE South-South and the South-East chapters of the All Progressives Congress have supported the criticism of the Minister of State for Petroleum, Ibe Kachikwu by the APC National Leader, Asiwaju Bola Tinubu. The South-South APC advised the minister to resign if he was incapable of doing his job, Punchng report. This was contained in a statement signed by the party’s National Vice-Chairman, South South, Hilliard Eta, a copy of which was made available to newsmen in Abuja on Sunday. 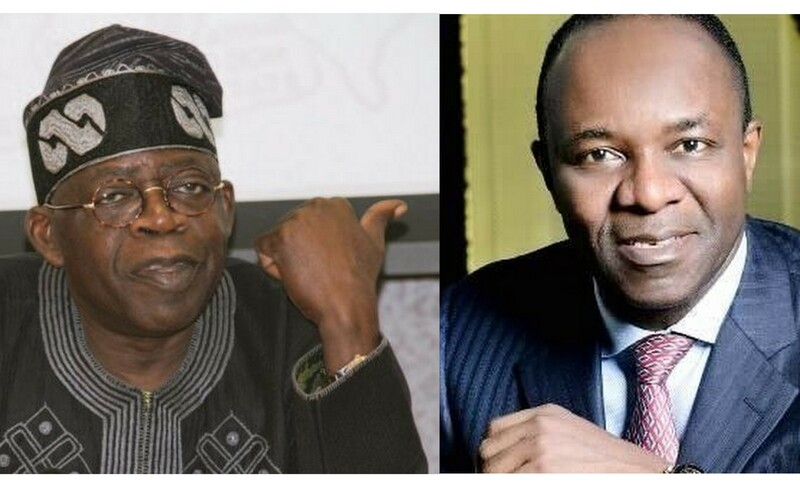 The statement entitled, “No split in APC: Tinubu right to critique Kachikwu,” the National Vice-Chairman said it was the opinion of the South-South chapter of the party that Kachikwu had yet to purge himself of his Peoples Democratic Party’s orientation. Kachikwu, who hails from the South-South, had in an interview with journalists in Abuja on Wednesday, said fuel queues could not be eliminated with a magic wand. He said that despite government’s efforts, fuel queues would remain in the country in the next two months, adding that he was not a magician. Supporting Tinubu, Eta said, “The South-South Chapter of the All Progressives Congress feels that Kachikwu has not entirely cast off the orientation of the Peoples Democratic Party, where he was and this is manifest in his actions and utterances such as the recent one that attracted opprobrium from many Nigerians. According to Eta, Tinubu’s observation about the utterances of the minister is in line with the core ideology of progressivism which the APC espouses as it is the very foundation on which the party rests. Eta said, “This progressive ideology strongly emphasises government as a tool for service to the people who are the custodians of power in the first instance. The South-South leader of the APC said Tinubu’s critique of the minister did not amount to a split in the APC. He observed that if anything, it had further strengthened the commitment of the party and the government it had formed to be fully accountable to Nigerians. It will be recalled that Tinubu had taken exceptions to comments made by the minister with regards to the lingering fuel crisis in the country. Also speaking on the issue, the South-East Chapter of the party stated that Tinubu had voiced the frustrations of Nigerians. The South-East Zonal spokesman for the party, Mr. Osita Okechukwu, said this in an interview with The Punchng. He explained that Tinubu’s democratic credentials and his commitment to the Nigerian project were not in doubt. Okechukwu, however, said calls for Kachikwu’s resignation in some quarters were hasty in the light of the realities on the ground. He said, “Our National Leader, Asiwaju Ahmed Tinubu, re-echoed the anger of the Nigerian people about the current situation we have found ourselves with regards to the shortage of petrol. “We have been privileged to have attended the recent meeting the President held with stakeholders in the oil and gas sector where he outlined his policies and programmes with regards to how he intends to deal with the problem. “It was part of his commitment to resolving these issues that made him (the President) take up the responsibility of the Minister of Petroleum.